Help us protect our wildflowers and native landscapes. 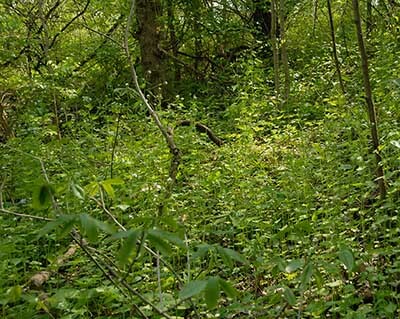 We need your help to fight the Garlic Mustard scourge. We know garlic mustard pulling is not the most glamorous activity but it is badly needed and we cannot do it alone. You can help us make a difference and enhance the quality of the rare and wonderful native habitats at our preserves. Austin Battles, AOA’s AmeriCorps Stewardship Coordinator is on our preserve properties most every day working on the many invasives. We are continuing to focus on garlic mustard for the next several weeks until they have all gone to seed. If you would like to volunteer some time to help Austin please call him at 440.223.0287 or email a.battles@live.com. He would welcome your company and assistance and can coordinate arrangements. A schedule and information regarding AOA’s invasive removal activities for the next several weeks is available on our website and posted on our Facebook page. You may call Austin or any AOA staff directly for more information (AOA office no. = 614.721.2656). Get out and enjoy the peace and serenity of the woodlands and catch the last of the spring wildflowers while helping with conservation stewardship.